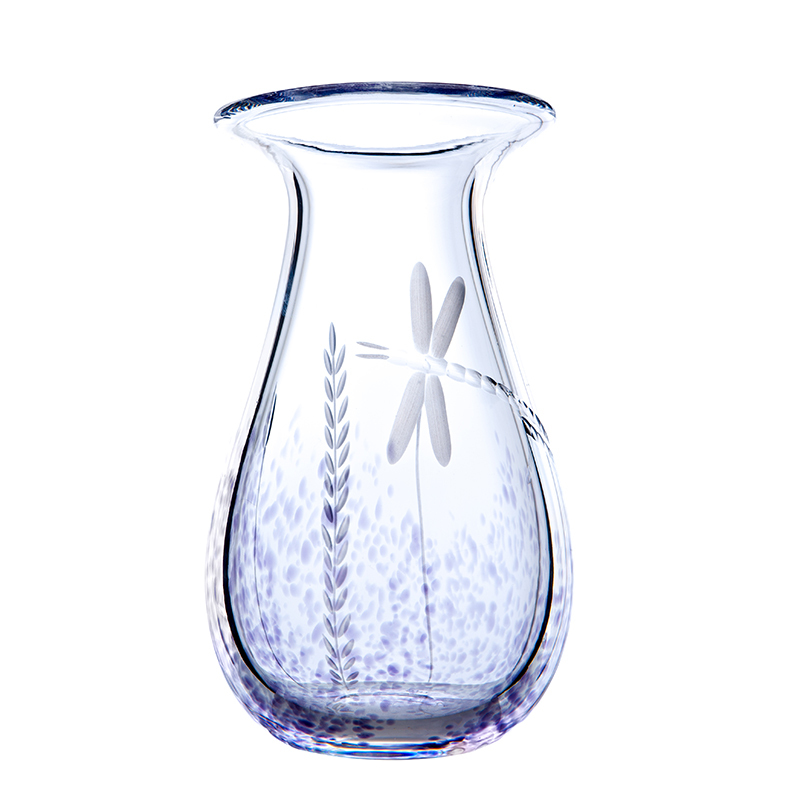 Approx 8″ Tall vase with Amethyst colouring and Dragonfly Etching. The Medium Vase of our Wild Heather Collection, this majestic 8″ vase is an addition to any room. This vase is a testament of the skill of glassblowing and cutting. Etched with Dragonfly and various reeds this is a true work of art!